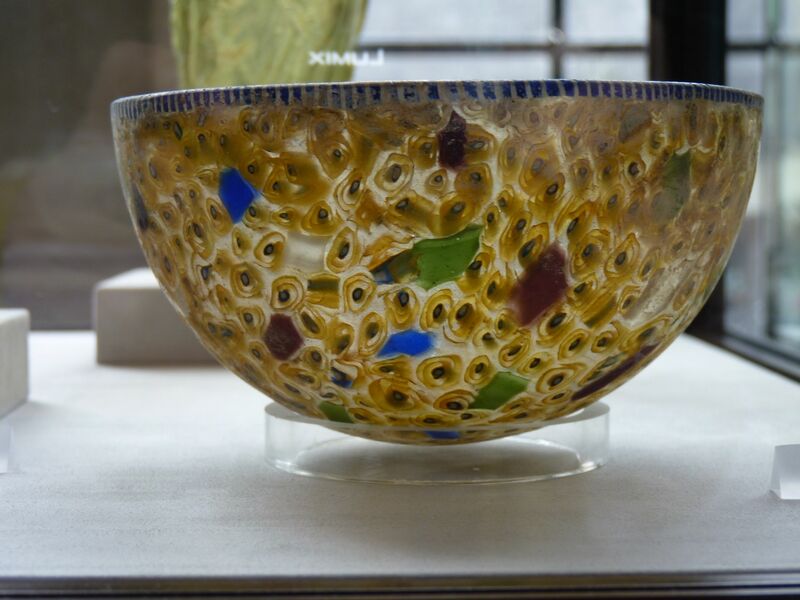 Glass mosaic bowl, 1st century B.C. to 2nd century A.D. 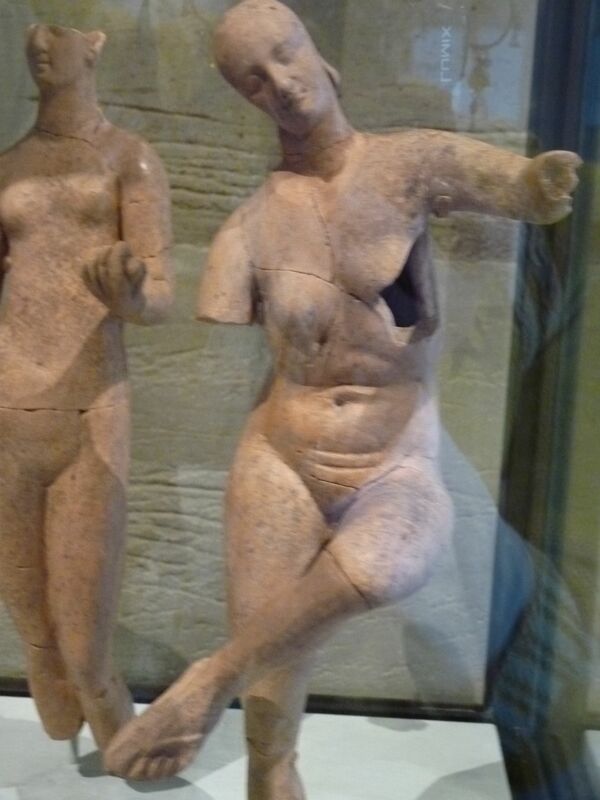 I am passionate about ancient objects. Vases, bowls, tables, and combs, when crafted by an artisan who might be 4000 years old today, blow my mind. So I scour the ancient art galleries of museums, and love to visit once-buried cities. 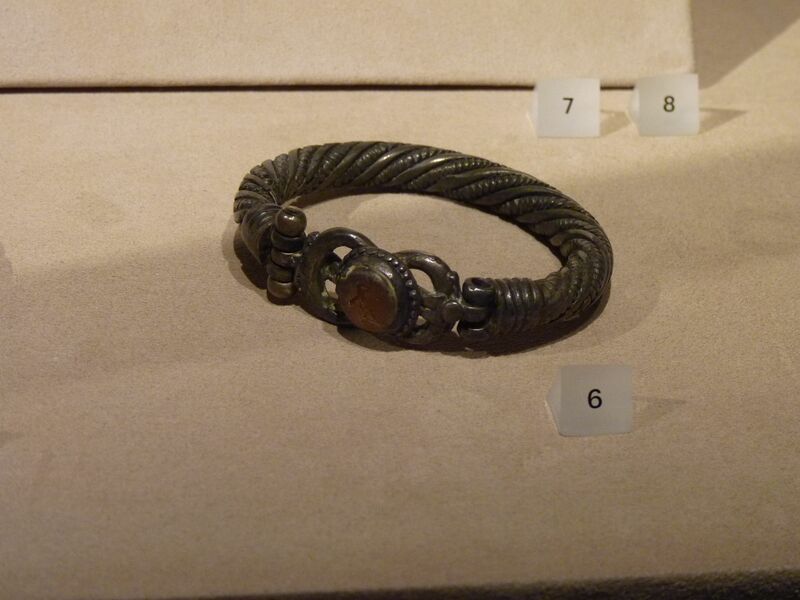 Seeing old artifacts confirms the continuity of fashion; the practicality of drinking glasses; the fun of jewelry. One bitter day in March, a friend and I drove up to the Yale Art Gallery. From the city, it’s about 2 hours on I-95. I had heard that the recent renovation was spectacular, but had ignored reading about it, so I went with a blind eye. The minute we drove onto Chapel Street, and past the stately gothic buildings that comprise Yale University, I was enamored. The campus is not beautiful in the sense of rolling hills, but in the majesty of the architecture. It celebrates education with arches and steeples and marble and wrought iron gates. If ever I wanted to go back to being a student, this stroll around Yale made me long for youth in a way that was not familiar. So when I entered the art gallery, I was already enchanted and became more so as we ambled through. The little I saw reflected the tip of an amazing collection – a mini- Metropolitan Museum of Art, but so much more accessible. The info cards give the necessary details with simplicity, and it was crowded, but not jammed. Within the Roman galleries was an exhibit devoted to the city of Dura-Europos, founded in 300 B.C. on the western bank of the Euphrates River, in what is now present-day Syria. The Romans dominated from about 165 A.D. until another invading army, the Sassanians, took over. The site was discovered by a team of Yale archaeologists in the 1920s, and the gallery is a showcase for their finds. I spotted a leather flip flop that could have been made by Rainbow; a David Yurman bracelet and Matisse-like terracotta female figures. Leather flip flop Dura-Europos 2nd-3rd century A.D.
“David Yurman” bracelet circa 200-256 A.D. 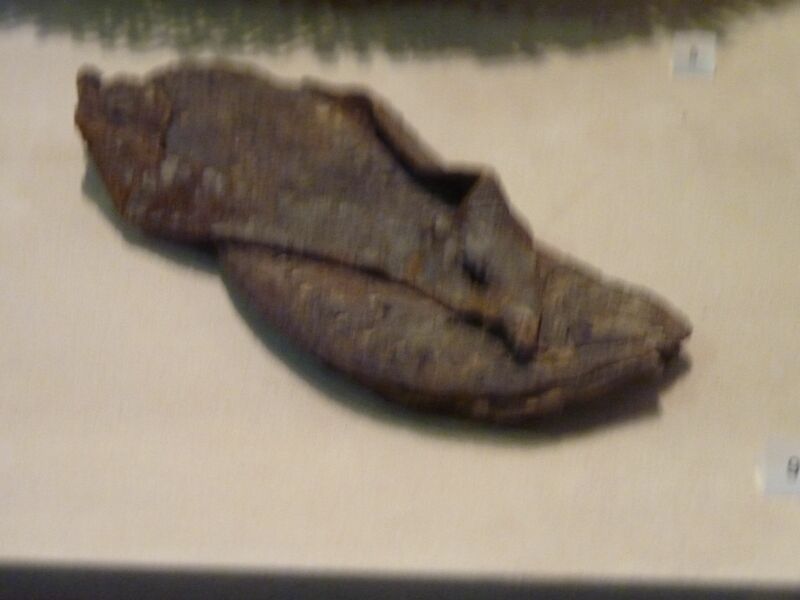 The zaktik torso. 1st century B.C.- 2nd century A.D.
My favorite was the word puzzle. 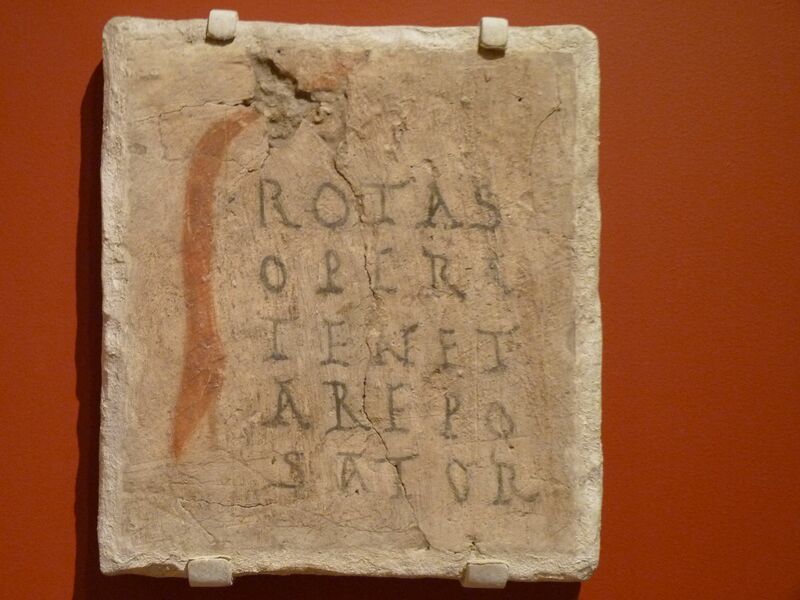 Each of the words (ROTAS, OPERA, TENET, AREPO, and SATOR), written on this plaster plaque, can be read right to left, or left to right, or up and down, or down and up, and end up spelling the same word. A master acrostic palindrome. The meaning remains an enigma, but not the pleasure of a word game, which is timeless.